I find it very enjoyable to try to copy the paintings I love. 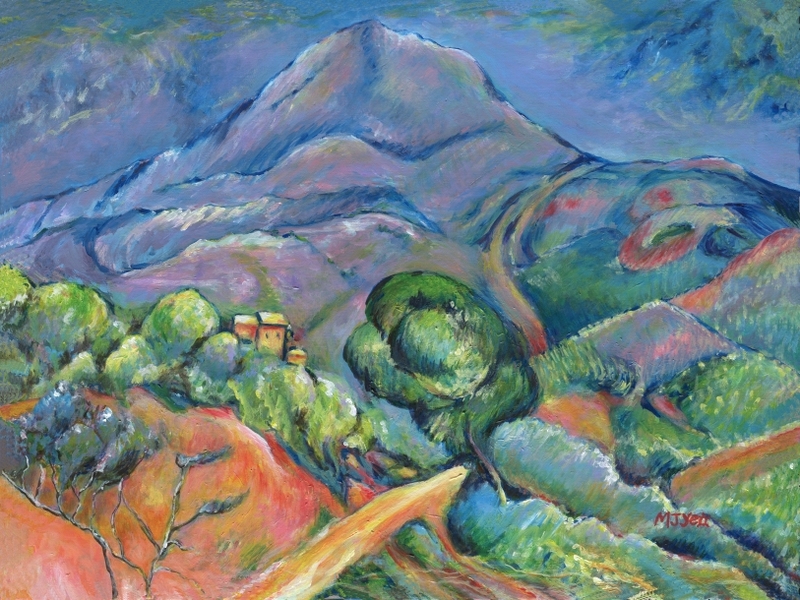 I love the thought of Cezanne on his own, surrounded by nature, preferring to focus on its beauty than having the distractions of social contact. There is something about his style of painting which I find pleasing to look at, but I find it quite hard to describe why. Maybe it is to do with the kind of 'neatness' of the picture being divided into quite simple shapes of colour. I suppose this gets across the feeling you get when the general impression of a scene first strikes you. In this way, although the painting style is more abstract than realism, maybe the painting is actually more realistic in terms of the way you feel when you first look at a scene. He did actually say in one of his quotes "Painting from nature is not copying the object; it is realizing one's sensations."